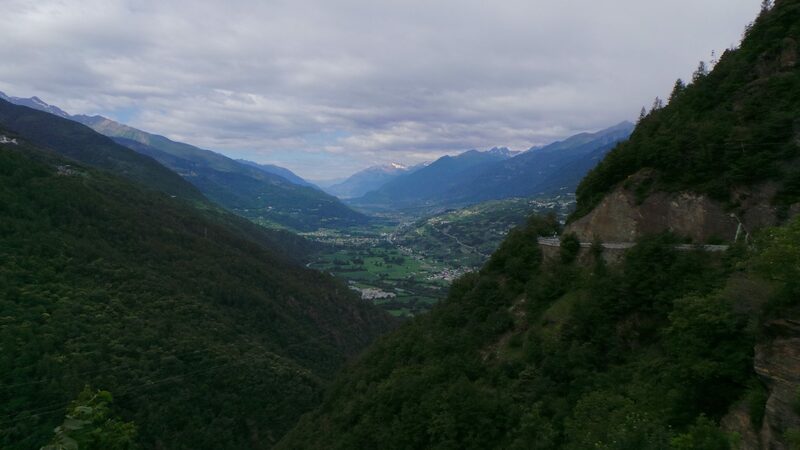 But first, we transferred to Tirano by car – through some 20 kilometer of tunnels – were I got on the bike in front of the Basilica. I rode to Tresenda along the quite busy road and there I turned left to climb the Passo Aprica. Passo Aprica turned out be a good warm up, nothing too difficult but with 13 kilometers not too short either. After passing through Aprica, I descended towards Edolo, where we had a coffee break. From Edolo, it goes up easily for some 3.5 kilometers until the turn towards Monno. From there, the official climb of the Mortirolo starts. I found this climb to be a little irregular, which is not really my thing. On the other hand, the easier stretches can be used to your advantage to eat and drink. The toughest part is the final hairpin section, between hairpins 10 and 1, from there it is relatively easy for the final kilometer or so to the summit. We descended back to the Albergo Mortirolo for sandwiches and cappuccinos, after which I went back up to start the descent towards Grosio. 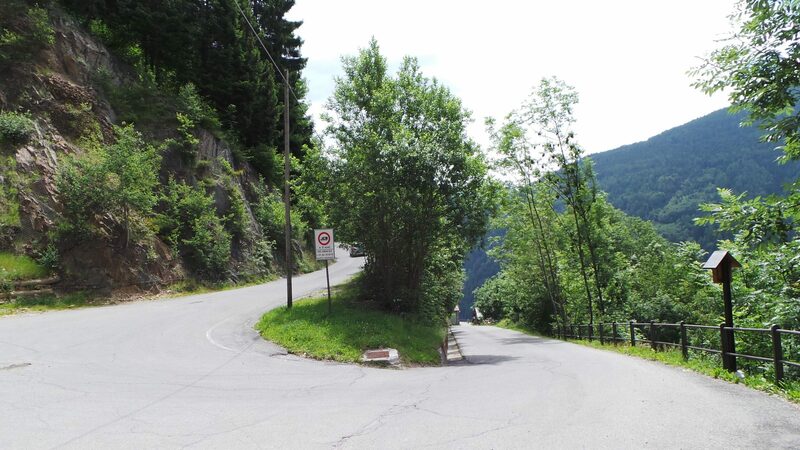 However, since I do not know whether or not I will get up Mortirolo again, at the split in hairpin 8, I had to go down to tornante 11 on the Mezzo ascent for Pantani’s memorial. I did, we took some pictures, saluted Il Pirata and went back up again. After another flying descent, I relaxed for some more kilometers towards home, before I tossed the bike in the car near Sondalo.